August 2016 – Damn, I Can Make That! Any of you out there grown your own cherry tomatoes? (Raises hand.) Do you also feel overwhelmed by the amount that are ripening right now? I can’t eat them plain or in salads fast enough, or give enough away to neighbors. If I see just one sad tomato on the ground, I feel like a failure. I need to make sure I get ALL of them. And eat ALL of them. It’s becoming impossible. SO. I had to get creative. Enough with eating tomatoes, mozz, and basil. We need to take it to another level. 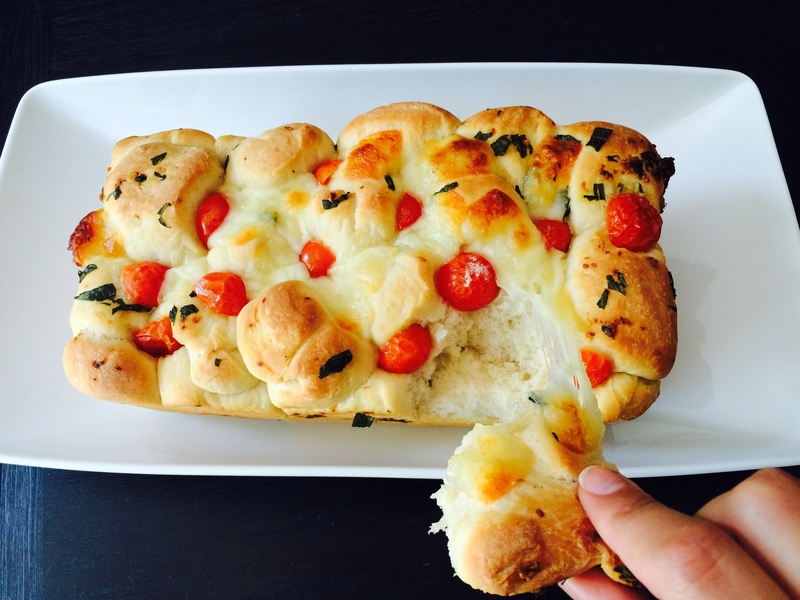 Enter in – caprese pull apart bread. It’s doughy, chewy, and surprisingly refreshing. 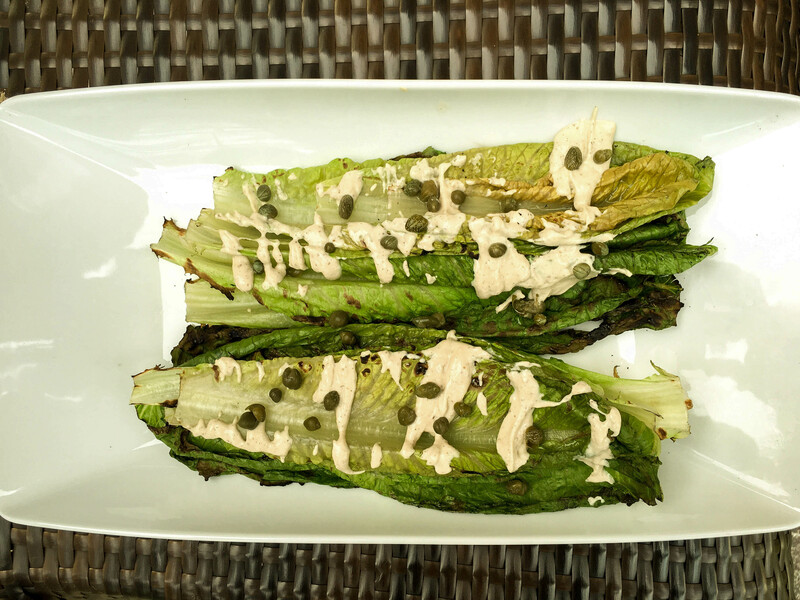 Perfect for a party, side dish at a BBQ, or just an excuse to use up those tiny tomatoes. In a large mixing bowl, combine the yeast, sugar, and water, stirring until the yeast is dissolved. Let stand for 10 minutes until it becomes frothy. Mix in sugar, milk, butter, and salt. Using a dough hook (or by hand), slowly add in the flour until a dough forms and is no longer sticky. Roll 1 inch pieces of dough into little balls and set aside. Preheat the oven to 400 degrees, and grease a bread pan. In another mixing bowl, combine the basil, olive oil and pepper (feel free to add a dash of salt). Next, take the little dough balls, roll them in the basil olive oil mixture and begin to line them on the bottom of the bread pan. After 1 layer, scatter the cherry tomatoes, and some of the shredded mozzarella. Repeat these steps until you reach the top of the pan, tucking in any remaining tomatoes. Bake for roughly 30 minutes, or until the bread is golden brown.